There is only one reason I went to Santorini. Mom had asked for her ashes to be left there. She first went there in the 80’s with her sister in law. Every summer Mom and Brenda went island hopping in Greece. She fell in love with Santorini. And so did I. After just over a year since she passed away, I finally decided it was time to take Mom ‘home’. Just before she died she told me she wasn’t sure that she wanted ‘it’ to be Santorini. I think she was worried that it had changed from what she had remembered. And she had since travelled to so many other places she loved. Dalyan, Turkey being one. After she died, I was not sure where she really wanted to be, her partner and I thought Dalyan and my daughter suggested we took her to all the places she had travelled to. A lovely idea yet limited by money, I was not sure I could fit in Thailand, Egypt, Greece, Malta, Menorca,Turkey, Hong Kong, and goodness knows where else she had visited. I had three overseas holidays last year and took a little bit of Mom to two of those destinations and one in the UK. I may have broken a Turkish law but I knew she loved it here. And I found the perfect place in Malta too. I chose Marsaxlokk as it is a colourful village that hosts a lively Sunday market, and no one loved a good market better than my mom. Only after I had scattered her ashes I realised that the curtains hanging in a little house overlooking the spot where I left her are identical to the ones my mother had in her home. Mom had also been an actress and one of her very last proper outings was to Stratford-Upon-Avon to see The Tempest. I thought she may enjoy being here, in the shadow of The Royal Shakespeare Theatre. As time went on, I knew I really needed closure and in my heart I knew I had to take her to Santorini. We could only get flights to Crete at this time of the year, yet I was pretty sure that we would be able to get to Santorini from there, by boat. As it was it turned out that the fast ferries were not running until 17 April and we flew home in the early hours of 18 April. At that point I was thinking I would only get a day trip to Santorini and have to spend the rest of the week on Crete. 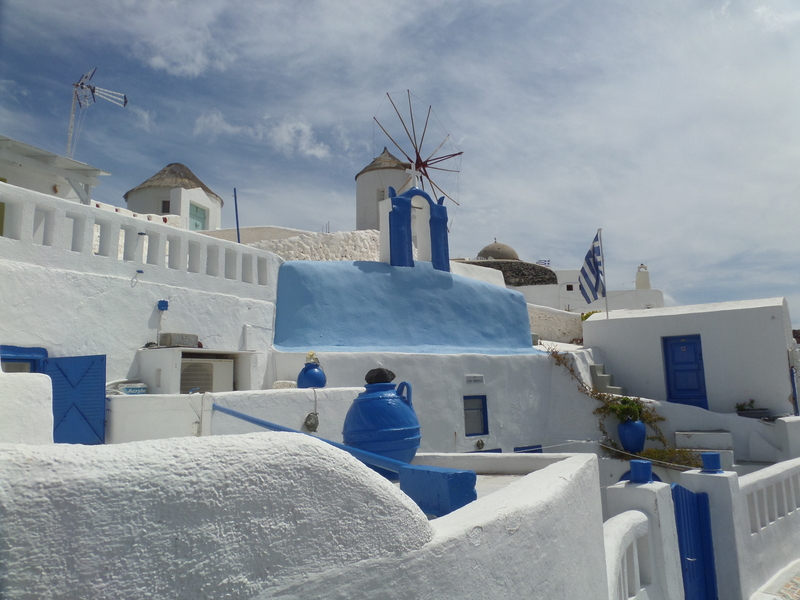 I was not prepared to give up and with the help of a brilliant travel agent, Paleologos, in Heraklion, planned an itinerary that got us to Santorini on the 15 April via Piraeus. 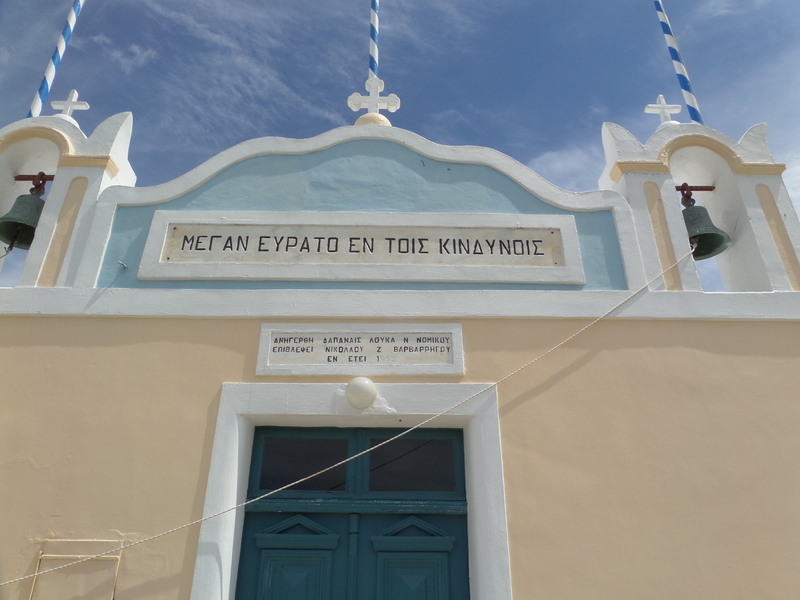 We would be leaving Santorini on the first fast ferry on the 17 April at 6pm, with plenty of time to get our flight at 1am on the 18th. Cutting it fine, and the Sea Cats don’t run if the weather is windy. Ah well I had taken out insurance and enhanced it to cover unexpected events, given our history of holiday almost disasters. 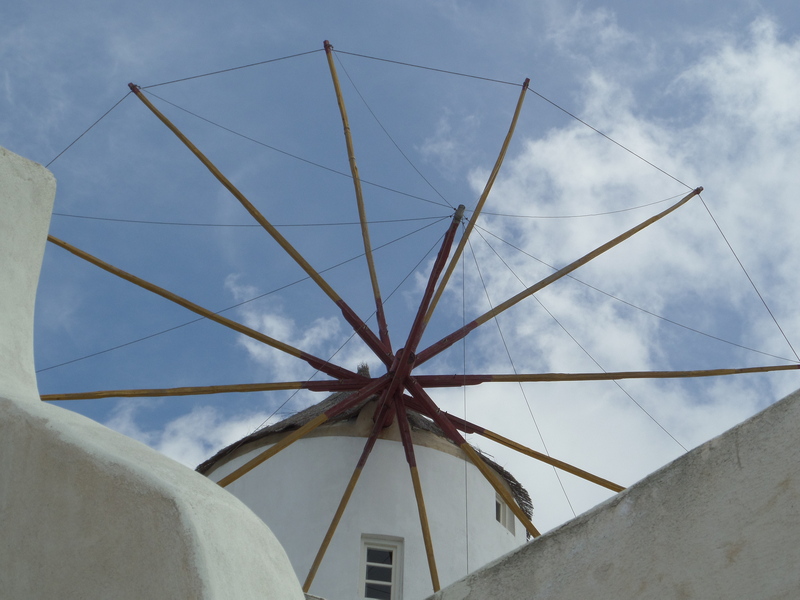 If the weather made us stay longer in Greece, so be it. 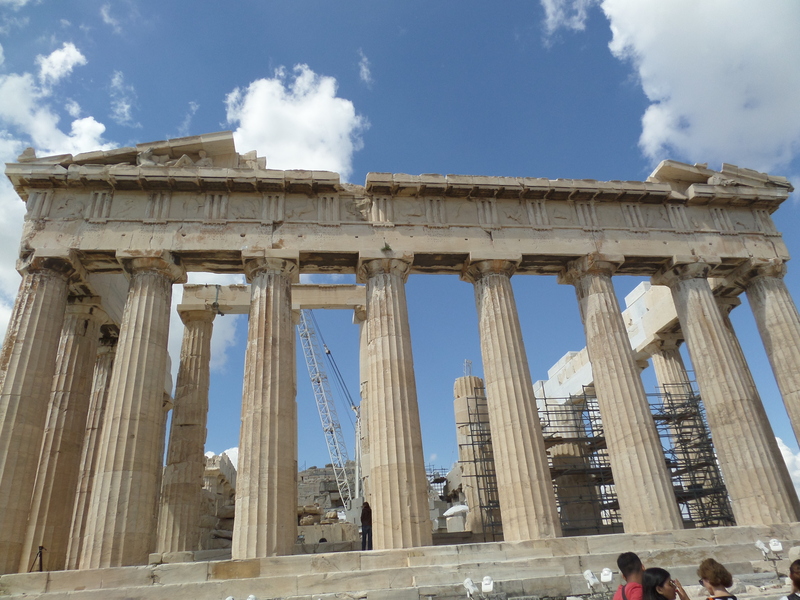 It also meant that we would get an unexpected bonus of visiting The Acropolis in Athens. Mom had made her first journey in Greece from Piraeus in 1980 when she travelled solo, flying to Athens and then getting a ferry to Rhodes. She loved Piraeus and the bustle of getting on and off ferries, so I was pretty sure she had had some influence on these plans. She was going to get her last bit of island hopping in before settling on Santorini. 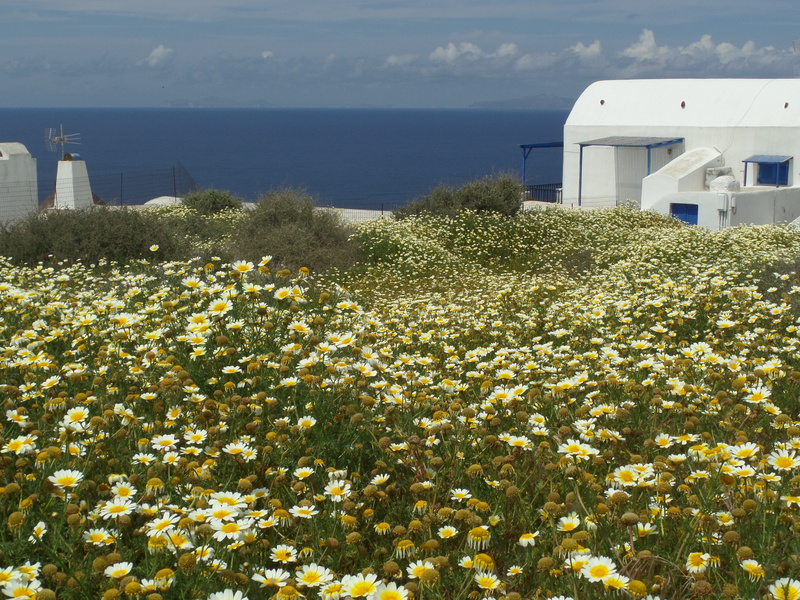 A twitter friend recommended accommodation in Santorini. What a find! Affordable, comfortable and the owners, Katerina and Nectarios treated us like family rather than guests. 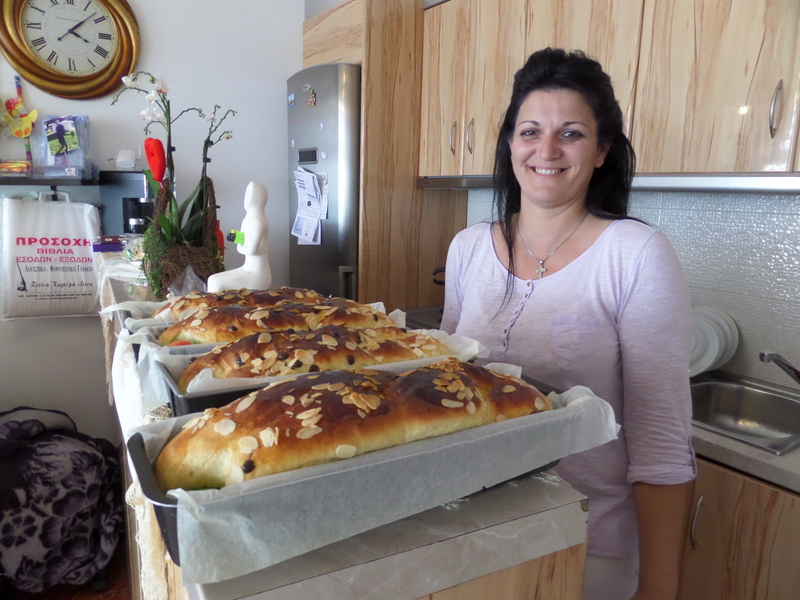 And Katerina is a fantastic baker. We didn’t want to leave. Santorini has an reputation for being expensive, and yes there are some places that are eye wateringly pricey, yet it is still possible to visit and enjoy Santorini on a modest budget. 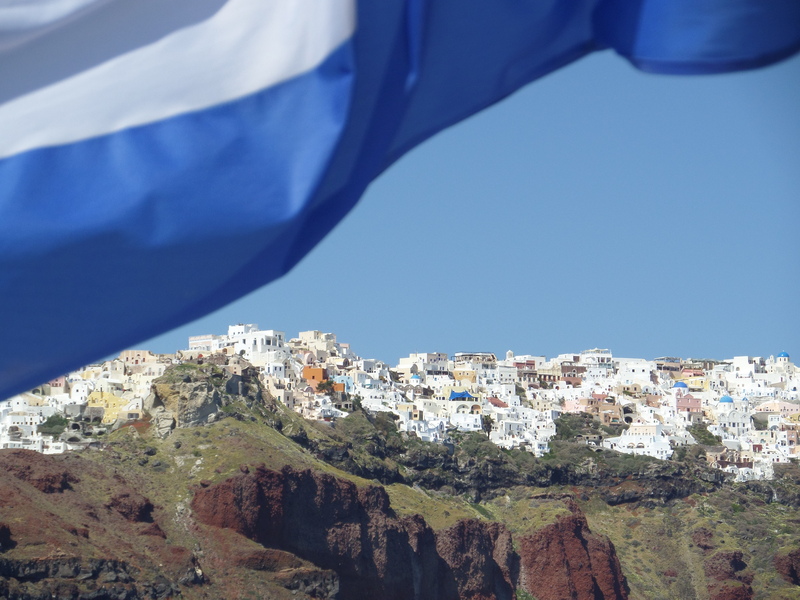 We were based in Fira, the capital, but I had an inkling that it was Oia that Mom had stayed in, so we took the bus there with Mom in the back pack. Oia is stunning. I had seen countless photographs and was worried that it would not live up to my expectations. It exceeded them. And I knew this is where Mom was meant to be. We got away from the crowds and searched for the perfect place. And found it. Mom wasn’t religious yet I thought being in front of a tiny church was appropriate. 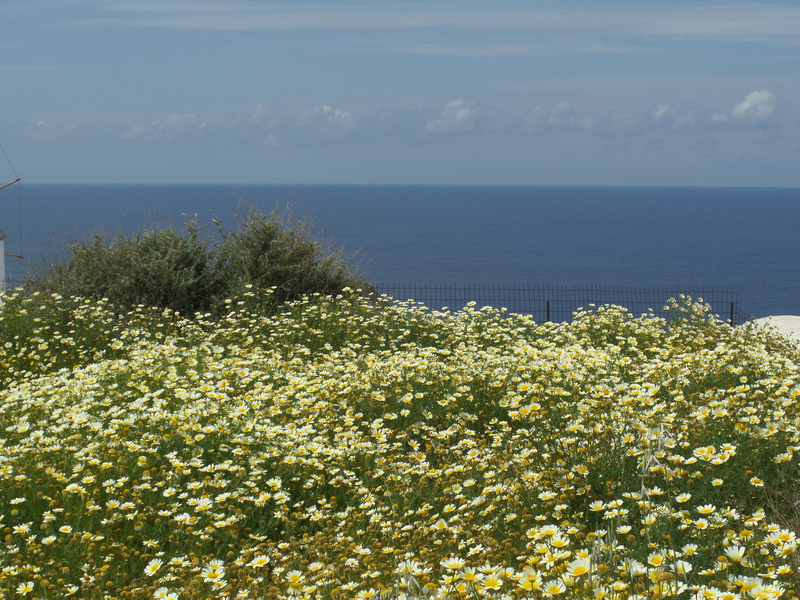 And this field of daisies just seemed to be the right place. And I chose the right place, as after I had left her in her final resting place, although off the main drag where tourists gathered, everyone who passed the field stopped to admire them and the view. So she will get plenty of visitors. She would like that. This entry was posted in Europe, Greece, Travel and tagged Crete, Dalyan, Greece, Island Hopping, Malta, Marsaxlott, Royal Shakespeare Company, Santorini by Travelling Coral. Bookmark the permalink. That is a really lovely story! Thankyou Andrew. I published it a bit too soon, have now edited it. Just had to write it yesterday, the words were there. I love this. Thank you so much for posting. My mother (her name is Brenda) died eight years ago, and I’ve been scattering her ashes in places she loved since then. But my final trip will be to Greece, where she always wanted to go, and never got the chance. I’m not sure when I will make it over, but it will happen. I love that you did this. 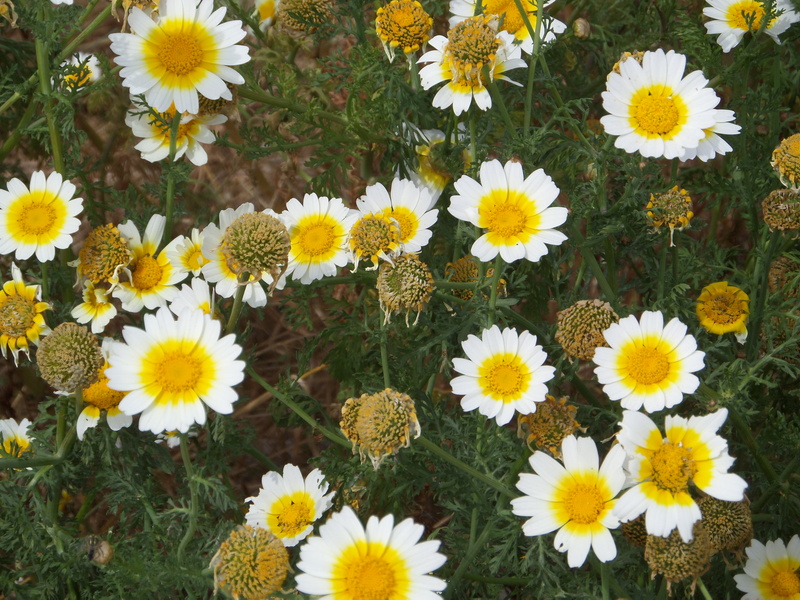 And know that your mother is dancing through those beautiful Oia daisies. Opa!